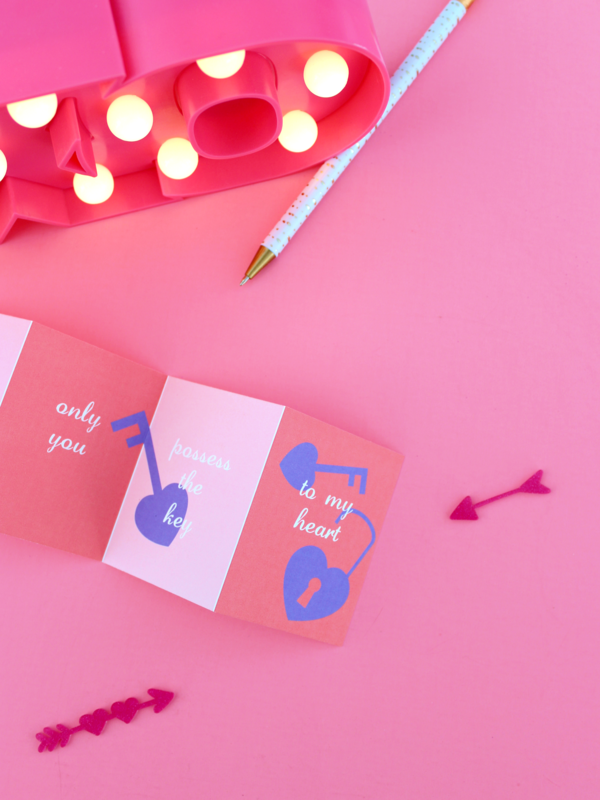 With Valentine’s only days away, let’s not get caught up in the rush of finding the perfect Valentine’s card last minute. Chances are, you won’t have much luck. I’ve been there! 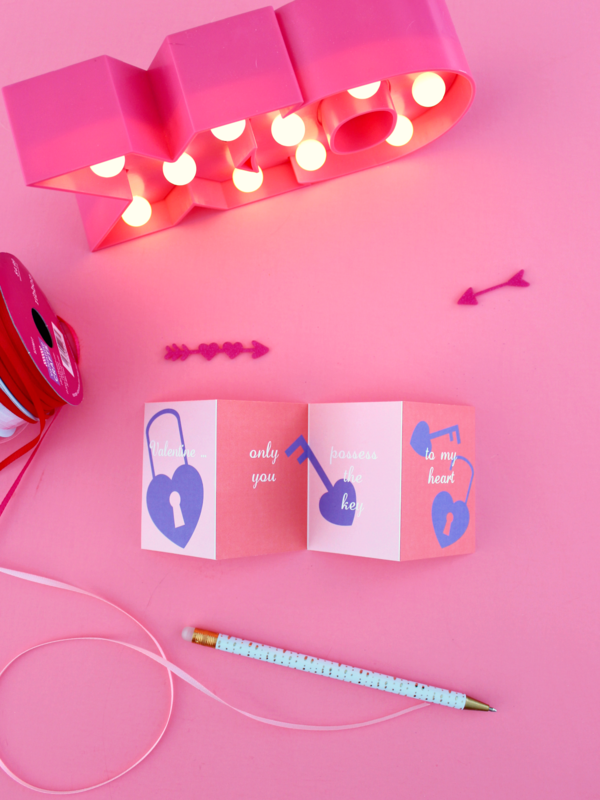 So I created this accordion card specifically for a loved one. It’s cute, it’s romantic, and it’s pretty small too (ladies, try slipping it in his back pocket and see if he notices *wink*). To print it, first download . Then I recommend printing on a white card stock (I always use this brand), which is definitely less flimsier than regular printer paper. I can always count on my wireless Canon MX492 to do my printing quickly and effortlessly for me. score where each colour meets.